K.S Terminals Inc. was founded under the name of Ken Shing industrial shop in 1973. At the very first stage, three brothers of the Cheng family started their business with only NT$3,000 capital and 18 square meters work shop. During the beginning, just happen to be facing the biggest inflation period in Taiwan. It was really tough to them, but brothers are consistent from beginning to the emend, holding with honesty to be their 1st basic philosophy, unite together, insist top quality, research & innovate, embracing Chinese traditional diligent, frugal, concentrative & selfless spirit, to advance bravely. Finally, they have initiated a small garden plot in Taiwan electrical terminal field. Looking back the past 34 years all members of KST in accordance with the 5 managing philosophy:」 honesty, unity, quality, research and strive」. Devote into ra rationalization, standardization, and automation, up grade quality in all phases. Furthermore, implementing fully automatic AS/RS stocking system, intergrated with production process distributing system and MIS system, up gradimg ERP、EIP、computer system, enable to be faster and more flexible in offering the most satisfactory services to customers. Also to strengthen R&D abilities, continue inventing, enable the company making more and more progress, expecting to achieve the final goal of 「running enterprise Forever」, make KST to be the world production center of electrical terminals, and professional manufacturer of 4C connectors, optical communication parts and components, precision connector. 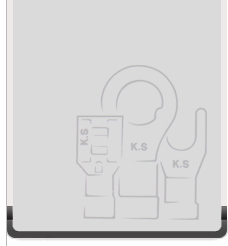 Copyright © K.S.TERMINALS INC. 8,E.3RD ROAD CHANG PIN IND.PARK, HSIEN SHI,CHANG HWA,TAIWAN,R.O.C. Global Bicycle , Shopping HiGo.